Since our last news letter we are delighted to report we have had two lucky winners. 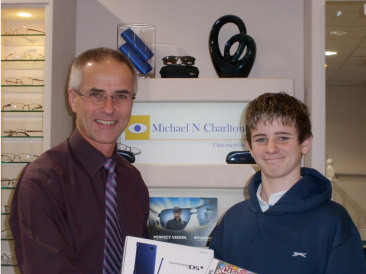 Thomas Hughes won a Nintendo DSi after entering a draw promoted by Sight Care Trading and is pictured holding his new gadget. Thomas being presented with his new DSi. Then a few weeks ago Sister Rose Berrie won a Seiko watch. She had registered her new Seiko lenses on line and was entered into a draw. 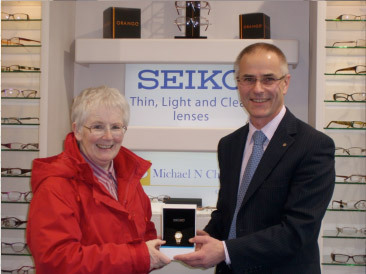 Sister Rose is our third Seiko watch winner from this practice. Both were delighted with their prizes. All our optometrists have been busy keeping up to date with their training; this time the course was all about glaucoma. They learnt about new investigations and treatments. 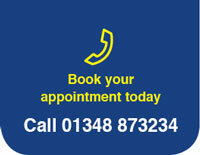 Anthea and Moya, our dispensing opticians have also attended a course on a variety of subjects. The benefits of the latest Drive Wear polarized prescription lenses were explained, showing that the glare from wet roads can be considerably reduced. They also learnt more about dry eyes and the appropriate drops that may help. Our reception team have had training on the different types of Seiko lenses and coatings. Robin and Michael had a lovely surprise when they were awarded certificates, “In recognition of their support for people with an Autism Spectrum Disorder”. The first county wide conference was held at County Hall to highlight the employment potential of people on the autism spectrum. Several awards were made to businesses and organisations who just go that extra mile to be autism aware. Robin and Michael both felt very honoured to have been nominated for their awards. 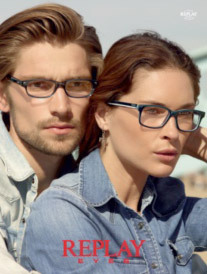 The latest ranges of frames are now in for the spring. For ladies we have Italian Fendi frames which have been very well received. The superb quality and attention to detail is wonderful and the styles are bold plastics as well as some more classic metals in lovely colours. Back by popular demand is a larger selection from Silhouette. Now our practice is an Authorised Partner we have access to all their models and the ability to ask for their frames on short term approval for you to see and try. The comfort gained by the minimal weight of these frames has to be tried to be believed. Sally is looking forward to wearing her new rimless model which is currently being glazed with Seiko multifocal lenses with a Super Reflective Coating. The retro look is very much part of this seasons look and Marco Polo and Head have several of the larger plastic styles in tortoiseshell and black. Also Miss Sixty and Replay have released their new styles to follow this trend. For a lighter look a new range of metal frames from Lollipop have pretty colours with a lot of feminine detailing on the side. Beside the above we run core ranges of frames to suit all styles and budgets so do pop in to see and try on; we are happy to give advice on what will flatter you. We are all hoping for some better weather and with this in mind sun protection for your eyes is very important. Good quality tinted lenses with full UVA and UVB filters help prevent cataracts. Even on relatively dull days the amount of UV light around is quite remarkable. Polarised lenses will cut out the glare too making you less inclined to screw up your eyes. 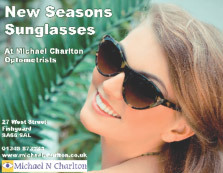 We now have the new season sunglasses in stock and would be delighted if you popped in to see them. Robin Baker continues to be our fittest member of the practice. He has now completed a marathon on the coast path! Running from Newgale to Porthgain on difficult terrain he was extremely relieved to finish this event and we are all very proud of his achievement. Robin wore his 1 Day Acuvue moist contact lenses with Polaroid sunglasses. Just in, superior Polarised sunglasses from Maui Jim. Classic plastic frames, sports styles and metal rims with lenses that provide protection from glare and all harmful UV rays. Superbly comfortable and relaxing for your eyes – great for sports such as golf or sailing. Not all prescriptions are suitable.